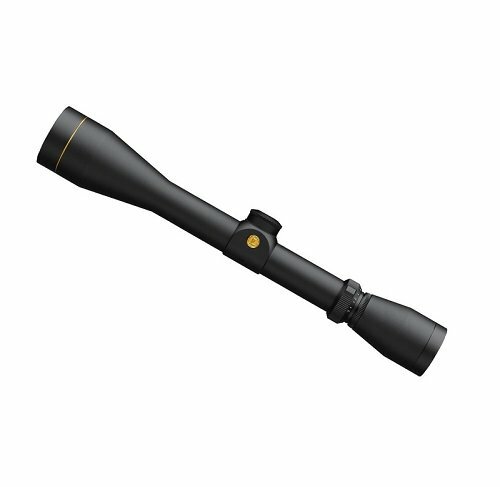 A hunting flashlight is a very useful tool when hunting at night. There are currently several types of LED hunting flashlights on the market – some great, some not so great. One of the great LED hunting flashlights on the market that you can lay your hands on is the Orion H30 Predator. This popular flashlight not only supports a variety of accessories but also comes with so many useful features that can increase your likelihood of enjoying a successful hunt at night. In this Orion H30 Predator review, we shall understand why many real hunters include the Orion Predator in their lists of the best hunting lights on the market. 1.8.1 Q. Who are the manufacturers of the Orion Predator? 1.8.2 Q. What is the light’s beam distance? 1.8.3 Q. How many colors does the Orion H30 Predator come in? 1.8.4 Q. Does the Orion H30 Predator spook animals? 1.8.5 Q. What is the weight of the flashlight? 1.8.6 Q. What kind of reflector does the Orion H30 Predator come with? 1.8.7 Q. What are the dimensions of the Orion H30 Predator? 1.8.8 Q. Does the product come with a return policy? 1.8.9 Q. Does the Orion H30 Predator come with a warranty? 1.8.10 Q. What manner of batteries does this flashlight use? 1.8.11 Q. Can I attach the light to a crossbow for night hunting? 1.8.12 Q. Does the product come with battery? 1.8.13 Q. Is the Orion H30 Predator waterproof? 1.8.14 Q. Besides the Orion H30 Predator hunting flashlight, what other things does the package come with? 1.8.15 Q. How many brightness settings does this flashlight come with? 1.8.16 Q. What is the light’s battery run time? 1.8.17 Q. When I purchase the flashlight would I get both colors, Red and Green? The Orion H30 Predator flashlight boasts the renowned energy-efficient Cree XP-E2 LED, which is a massive improvement on Cree’s original XP-e. In addition to delivering very high lumens per watt, the XP-E2 LED, which the Orion H30 Predator comes with, is capable of emitting 100% pure red or green light (depending on which version you are using) without experiencing any loss as a result of filtering. This is one of the features of the light that make it an extremely effective night hunting light. As a hunter hunting wild animals at night, the last thing you want is for you hunting light to spook the animals you are hunting. Knowing this, the manufacturers of the Orion H30 Predator hunting flashlight equipped the device with lights (red or green) that are not sensitive to most predators. Since these lights cannot be seen by most predators, you can safely use the Orion H30 Predator to spot and aim at animals without drawing their attention to you and ultimately spooking them. The Orion H30 Predator is very compact and can be carried around very easily and used whenever the need arises. Also, as a result of its compactness and lightweight construction, you do not need to worry about it increasing your carry weight as you move about in the wild. Another impressive feature of this hunting light is its extraordinary durability. The manufacturers of the light know how physical hunting can be and how much abuse hunting gears often take, which is why in addition to making the Orion H30 Predator waterproof, they built it with aviation-grade aluminum. As a result of the extremely rugged construction of the flashlight, it is resistant to so many things, including scratches and major impacts. It is worth noting that not too many hunting lights can stand the amount of abuse that the Orion H30 Predator can. It is a highly durable and rugged device. It comes with a battery and charger. It has a waterproof housing. Since it is not bulky, it is very easy to carry it around with you in the field. It comes with multiple brightness settings. The manufacturers support it with a 10-year warranty. You cannot get both colors (Red and Green) in one device. You’d have to order two devices in order to get both colors. Q. Who are the manufacturers of the Orion Predator? A. The product is manufactured by ORION. Q. What is the light’s beam distance? A. The Orion H30 Predator comes with a beam distance that can travel up to 273 yards. Q. How many colors does the Orion H30 Predator come in? A. It comes in two colors, namely Red and Green. 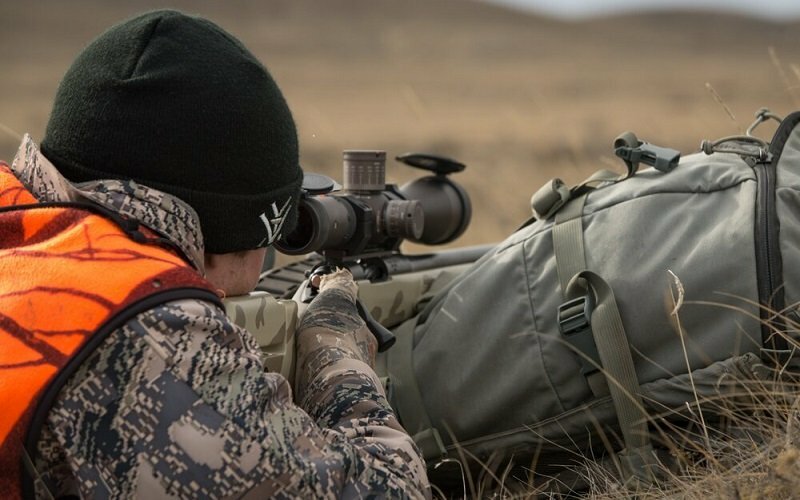 The version with the green light is best suited for hunting hogs, whereas the version with the red light is best suited for hunting predators such as varmint and coyote fox. Q. Does the Orion H30 Predator spook animals? Q. What is the weight of the flashlight? A. It weighs approximately 135g or 4.76oz. Q. What kind of reflector does the Orion H30 Predator come with? Q. What are the dimensions of the Orion H30 Predator? A. It has a length of 6.1″, a body diameter of 1″ and a head diameter of 1.43″. Q. Does the product come with a return policy? A. Yes, it does. The product comes with a 30 day return policy. Q. Does the Orion H30 Predator come with a warranty? A. Yes, it does. The manufacturers of the product back it up with a 10 year warranty. Q. What manner of batteries does this flashlight use? A. The Orion H30 Predator runs on rechargeable 18650 batteries. Q. Can I attach the light to a crossbow for night hunting? A. If you have a good scope mount or picatinny rail, you can easily attach the Orion H30 Predator to the scope on your crossbow to hunt at night. Q. Does the product come with battery? A. Yes, it comes with battery and charger. Q. Is the Orion H30 Predator waterproof? A. Yes! It comes with such excellent waterproof housing that you can submerge it 6 feet underwater for more than an hour without any problem. However, you should know that despite this being the case, it is not advisable to go diving with this light since it isn’t a diving light! Q. Besides the Orion H30 Predator hunting flashlight, what other things does the package come with? A. The other contents of the package include the following: a 18650 battery, a charger, a lanyard, three rifle mounts (scope mount, rail mount and barrel mount), a remote pressure switch, 2 silicone o-rings, a holster, a rubber button and a barrel adapter. Q. How many brightness settings does this flashlight come with? A. The Orion H30 Predator comes with as many as four different brightness settings, namely 6 lumens (lm), 50 lumens (lm), 190 lumens (lm) and 300 lumens (lm), which is the maximum brightness. Not too many hunting flashlights can boast of such excellent variety of brightness settings. Q. What is the light’s battery run time? 300 lm will give you a battery run time of 4 hours. 190 lm gives a battery run time of 5 hours. 50lm gives a battery run time of 17 hours. 6 lm gives a battery run time of 120h. Q. When I purchase the flashlight would I get both colors, Red and Green? A. No. It only comes in either Red or Green. In order to obtain both colors (Red and Green) you would have to purchase both. If you are looking for an effective hunting flashlight that will fit into your budget, the Orion H30 Predator is one of the best choices on the market. The flashlight’s compactness and durability coupled with such features as Cree XP-E2 Green LED, multiple rifle mounts, multiple brightness settings and a 273-yard beam distance, make it rank high in the list of the best flashlights you can use with your hunting rifle. In addition to being a very effective hunting light, the manufacturers also support the flashlight with a 10-year warranty.